No matter what you’re looking for, you’re bound to find it here at Gas UK! We supply the gas cutting nozzles to suit any heavy-duty application, have you got yours? 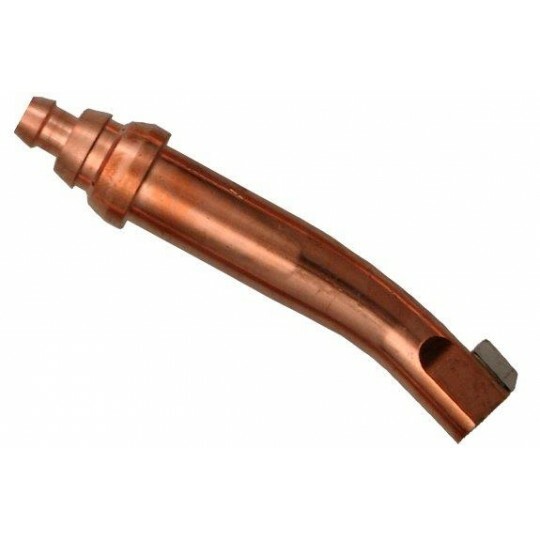 We supply the gas cutting nozzles for welding to suit the requirements of any industry. Our general-purpose gas cutting nozzles for welding are ideal if you’re looking for an alternative to Oxy Fuel gas processes. Here at Gas UK, we supply an extensive range of products, ensuring that you find optimum stability and efficiency for your welding applications. The gas cutting nozzles that we supply at Gas UK are guaranteed to last, ensuring that you get more out of them. The cutting nozzle for welding can create a smooth passage for gas to pass through, ensuring that it’s efficient. All of our gas cutting nozzles for welding are made to be lightweight, making it more convenient for you to work with. Depending on which gas cutter you use, you’ll need to choose a cutting nozzle that fits perfectly and can easily be attached. Our gas cutting nozzles for welding are available in a wide range of sizes, so be sure to choose the most suitable one for your welding cutter. If you need to know any more about our gas cutting nozzles for welding, don’t hesitate to get in touch with our team of experts today! We will be more than willing to help you to choose gas cutting nozzles that suit your specific requirements, ensuring that you receive the best value for money. Call us on 08001337490 to find out more! A-NM S Cutting Nozzle 1/32"
A-NM S Cutting Nozzle 3/64"
A-NM S Cutting Nozzle 1/16"
A-NM S Cutting Nozzle 5/64"
A-NM S Cutting Nozzle 3/32"
A-NM S Cutting Nozzle 1/8"
A-NM L Cutting Nozzle 1/32"
A-NM L Cutting Nozzle 3/64"
A-NM L Cutting Nozzle 1/16"
A-NM L Cutting Nozzle 3/32"
A-NM L Cutting Nozzle 1/8"
P-NM S Cutting Nozzle 1/32"
P-NM S Cutting Nozzle 3/64"
P-NM S Cutting Nozzle 1/16"
P-NM S Cutting Nozzle 5/64"
P-NM S Cutting Nozzle 3/32"
P-NM S Cutting Nozzle 1/8"
P-NM L Cutting Nozzle 1/32"
P-NM L Cutting Nozzle 3/64"
P-NM L Cutting Nozzle 1/16"
P-NM L Cutting Nozzle 3/32"